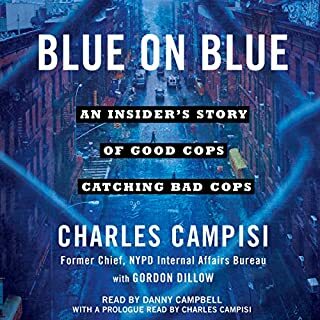 One of the most authentic and consistently illuminating portraits of police work ever, Blue on Blue describes the fascinating inner workings of the world's largest police force and Chief Charles Campisi's unprecedented two decades putting bad cops behind bars. Gripping story. A series of man-on-the-scene first hand accounts of NYPD tales ranging from Sean Bell to Louima to 9/11. My quibble is Mr. Campisi's incredible lack of empathy for the victims of police violence. He stresses its wrong, a disgrace to the uniform. He points out the thin blue line of silence isn't any more real than doctors protecting doctors or lawyers protecting lawyers. But tgen, he cant seem to understand why people objected to stop-and-frisk (he dismisses a 200 page federal decision as &quot;a court case&quot;) and dismisses Eric Garner's death by noting he had been arrested 30 times. Nothing about how Garner died as a result of an illegal chokehold. If zero tolerance works for citizens, should work for police too. He dismisses liberals, lawyers, politicians as anti-cop. I came away liking Mr. Campisi. He is no doubt a dedicated public servant, and would be a pleasure to have a meal with. He also tells a great story. But some of his views (though he disclaims this, the epilogue seems to suggest excluding Muslims from the NYPD-and his account of 9/11 doesn't mention that Muslim officers killed that day were initially suspected of being involved till their bodies were recovered) give me pause. But it is a great book. Glad I bought it, and hope he writes more. 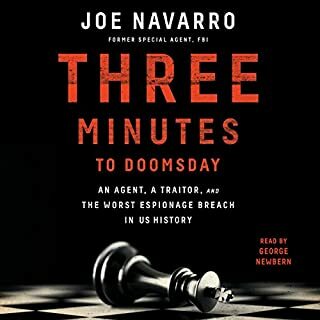 In 1988 Joe Navarro, one of the youngest agents ever hired by the FBI, was dividing his time between SWAT assignments, flying air reconnaissance, and working counterintelligence. But his real expertise was "reading" body language. He possessed an uncanny ability to glean the thoughts of those he interrogated. If you could sum up Three Minutes to Doomsday in three words, what would they be? Everyone is human. Joe isn't super man. He shows his tricks. He falls flat occasionally e.g. running into the occasional brickwall by WFO, HQ, DOJ. The encounters with the office manager are priceless. Building rapport with his partners, specially She-Moody, is exceptionally well written. Even the bad guy emerges as a human being, not a caricature. He committed treason. But you see how it happens - not as an excuse, but as an explanation. I've read Joe's body language book before (remembered the abrazzo (?)) example, and that fits in neatly with the overall story. You can see him arranging the furniture, offering a soda at the right moment, directing him to the restroom with a sharp gesture... and arguing with the office manager as to why hauling the guy into the Tampa Field Office with its available conference rooms is a terrible idea. At the end, when the story wraps up you sense why Joe couldn't celebrate the arrest, and why he was at his physical and mental limit. The moments with his family are tender, and a reminder of what he's sacrificing to the case. Have you listened to any of George Newbern’s other performances before? How does this one compare? Joe stated that his Mom reads the reviews. Mrs. Navarro, this review was written for you. Read Joe's book twice. Once for the story. The second time to see how he did everything. You have a lot to be proud of. God bless. 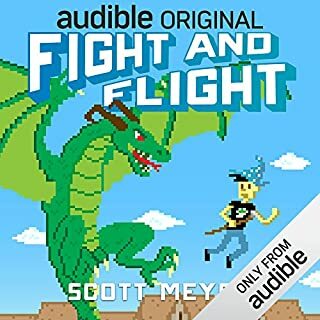 Would you ever listen to anything by Scott Meyer again? Maybe. The first book was amazing. They have been going steadily downhill since. The "women are wonderful" trope gets grating. Every man is an incompetent bumbling idiot. Every woman, even the exasperating and pointless Honor, and the uber moody Britt the younger is impeccable. Ok as a sitcom premise. Irritating in a series. Moreover, there is no story arc, no character development, little consistency with their previous personas. Gooch the humanitarian? Really? He has the perfect voice and performance. The twist at the end, maybe some of the scenes with the Bishop. Jimmy and the 2 agents make no appearance. They provided some of the best comedy and I miss them. If you're into the genre of Victorian streets, cozy fires, steaming soups and a whidunnit, this this is for you. 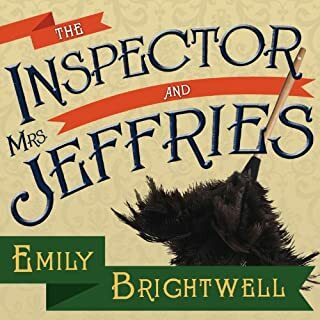 Would you recommend The Inspector and Mrs. Jeffries to your friends? Why or why not? Mixed feelings. The story isn't bad, I like Inspector Witherspoon (a variant on the Wodehouse character of the same name?). Some dialogue is good. The characters are pretty well drawn. On the other hand, some things are egregiously wrong. Housekeepers don't sit to have tea or meals with their employers. Absolutely not done. It would be like sitting with your feet on the table at a very high end restaurant. Wrong tone altogether. Have you listened to any of Lindy Nettleton’s other performances before? How does this one compare? I took the next one in the series. So that should tell you I did enjoy it. An entertaining and engaging exploration of the invisible forces influencing your life - and how understanding them can improve everything you do. The world around you is pulling your strings, shaping your innermost instincts and your most private thoughts. And you don't even realize it. And you don't even realize it. Every day and in all walks of life, we overlook the enormous power of situations, of context in our lives. That's a mistake, says Sam Sommers in his provocative new book. I enjoyed it. I have always been interested in the Fundamental Attribution Error - or put differently, how people behave in given situations. If you’ve listened to books by Sam Sommers before, how does this one compare? What does Joshua Swanson bring to the story that you wouldn’t experience if you just read the book? 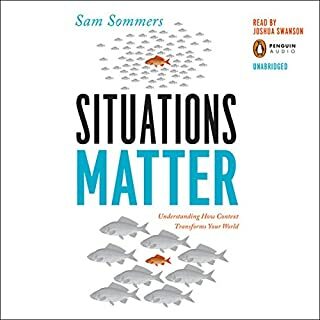 Do you think Situations Matter needs a follow-up book? Why or why not? While fascinating, I think he goes overboard on his theme. For example, his analysis of the Katie Genovese murder is based on the initial, incorrect press reports. It doesnt undercut the bystander effect, but does show he's focused on his thesis to the exclusion of other explanations. A similar example of his explanations of gender differences. I have no doubt that stereotype threat is a significant issue for women. But his insistence that toys and color preferences are the result of socialization and preferences is an annoyingly grinding chapter where he tries to force his round peg into a square hole. The analysis of race relations, bystander effects, feedback loops, expectations, etc., on the other hand, were fascinating. I was familiar with many of the studies from other audible books I have listened to. But he brought interesting insights into familiar contexts. The final chapter - how his road rage changes when he understands what is going on with the other driver - is wonderful. To me, it just shows he has plenty of interesting material to share. He should prune back those instances where he stretches his thesis to breaking point. James Harrison has recently moved to a restored hunting lodge in Sutherland with his gorgeous private nurse Gloria Dainty. When Hamish visits Mr. Harrison to welcome him to the neighborhood, the old man treats him very rudely. Gloria apologizes for her employer's behavior, and Hamish takes the plunge and invites her out for dinner. On the appointed evening, Hamish waits for Gloria at the restaurant. And waits. 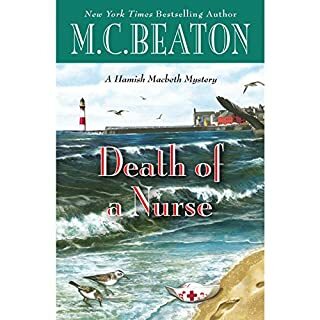 Where does Death of a Nurse rank among all the audiobooks you’ve listened to so far? The office politics were interesting. The ultimate resolution felt oddly unsatisfying. Have you listened to any of Graeme Malcolm’s other performances before? How does this one compare? Yes. A gifted reader who I always enjoy. This one is at par. I love the Hamish McBeth series. But they are beginning to feel rushed. She either needs to allow more space or cut out the lots of little mini-crises that blow up and are resolved within five minutes. I wonder if the books are being ghost written. This one felt "jolty" - like a new driver struggling with a stick shift, lurching from point to point. I read the books because I cant afford to live or vacation in the Scottish highlands. Beaton drew some wonderful charachters that feel like old friends, even annoying ones. ("Annoying ones" echoed Nessie). I want to enjoy their company. There's fragments of that in there, but its also increasingly formulaic... you know the outcome of Daviot, Blair, Anderson, and some particularly obnoxious or weak interloper the moment they step into the book. I love the series, the village, and even the office politics. But I feel like what attracted me to Lochdubh in the first place is missing. Its like a chat with an affable friend. 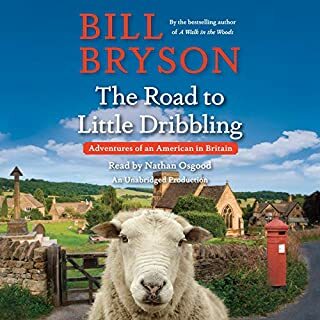 Would you consider the audio edition of The Road to Little Dribbling to be better than the print version? What other book might you compare The Road to Little Dribbling to and why? What about Nathan Osgood’s performance did you like? He switches regional accents that makes it a lot of fun. Realizing that there are monuments that have been maintained in Britain - by human hands - for 3000 years. Yes. Its an interesting story, well told. The man risked his life by keeping the diary after all. 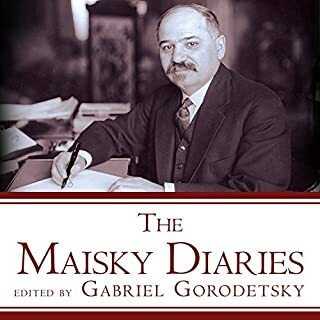 Maisky was caught between two worlds. Moscow didnt understand London, and didnt want to. He was an effective ambassador, but his very effectiveness made him suspicious. And a suspicious man in Stalin's USSR was a dead man. He goes into charachter periodically, for example with Churchill. No, I knew the history. But getting it though Maiskys eyes made all the difference. It was a good use of a credit. Would you try another book from Seymour Morris and/or Charles Constant? Its non-fiction, but I would have put in more human interest stories rather than broader policy debates and discussions. Still, there is plenty of human interest and its gripping. Its an interesting story well told. But its worship of MacArthur gets monotonous. After all, he was a man, and had his flaws. For instance, the decision to sweep war crimes under the carpet was hugely significant. The book largely veers away from discussing the graphic details of those crimes, as well as how the perpetrators got away. 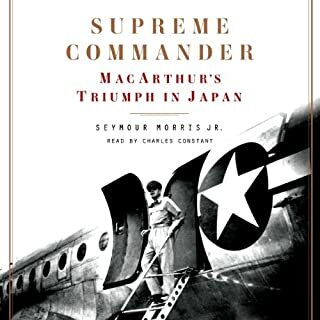 It does discuss the commander of Unit 731, but largely in the context of how MacArthur had no choice but to let him off scot free. Did Supreme Commander inspire you to do anything? 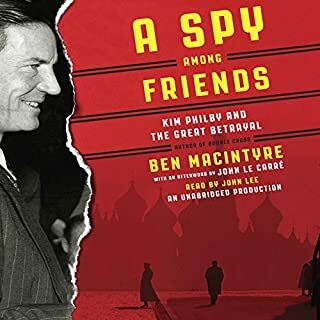 Kim Philby was the greatest spy in history, a brilliant and charming man who rose to head Britain's counterintelligence against the Soviet Union during the height of the Cold War - while he was secretly working for the enemy. And nobody thought he knew Philby like Nicholas Elliott, Philby's best friend and fellow officer in MI6. "The Good Shepherd" Meets "Yes Minister"
What did you love best about A Spy Among Friends? You know how the book turns out; yet you're gripped by it. What was one of the most memorable moments of A Spy Among Friends? When Philby sits down for an interrogation. They suspect his secret strongly, but cant prove it. Have you listened to any of John Le Carré’s other performances before? How does this one compare? If you could give A Spy Among Friends a new subtitle, what would it be? But He Was One Of Us! An excellent depiction of Whitehall politics and class snobbery as well as a great intelligence history.